Hyundai India recently celebrated its 20th Anniversary. On account of Anniversary special, the South-Korean auto giant revealed that it will be launching 2 anniversary editions — Xcent and Grand i10. Last week, Hyundai officially announced the launch of its compact Sedan, Xcent anniversary edition at INR 6.25 lakhs (ex-showroom Delhi). Reports from MotorOctane, Rushlane reveals that the company has launched Hyundai Grand i10 Anniversary edition as well. Going to the details: The popular Grand i10 Anniversary edition gets a price tag of INR 6.05 lakh for the petrol version and INR 7.06 lakhs for the diesel version. The anniversary edition is made available only on Grand i10’s mid-level trim (SportZ). When it comes to mechanical and technical details, the new edition will be powered by same engine – 1.2-litre Kappa engine which is capable of delivering a power output of 82bhp and maximum torque of 116 Nm. The anniversary edition Grand i10 also comes in 1.1-litre 3-cylinder U2 VGT engine that churns out 70bhp of power and 163 Nm of torque. 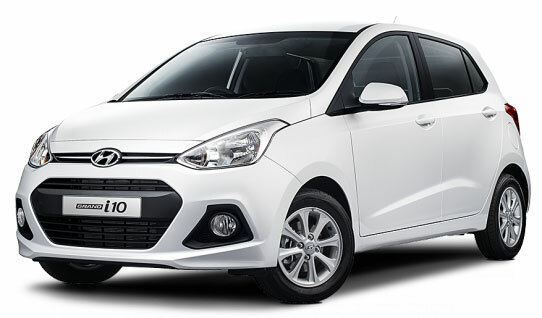 What is new with Hyundai Grand i10 Anniversary edition? When it comes to interiors, the new Grand i10 Anniversary edition gets red and black interiors with a touchscreen infotainment system. This new edition car will be delivered within 10 days of booking. The Grand i10 from Hyundai was first launched in 2013 and is expected to get a facelift in 2013. Hyundai Grand i10 would be also getting AMT (Automated Manual Transmission) gearbox.